This project is now called Parkway. The main rendering looks better than before. Still, I think this is going to be a hard sell with the anti-gentrification crowd in North Park. Huh, at least the 6 storey component appears to have been set back more from Cook Street. Hopefully that will bring less of an overbearing presence over the current structure. Still seems a bit... off. I'm curious about the colouring. The blackened wood really was not a good fit for this project, though I'd be interested to see more of it in developments around Victoria. Definitely an improvement though. The massing & relationship to the old building both seem to be good. I like the vertical orientation of the windows on the little part. But come on. Unflavoured is not a flavour. The architecture is very bland, and repetitively so. I don't know what the cladding would be but methinks they're making an all-or-nothing bet on the success of it. I get that they'd be going for a more neutral presence behind the old building. I'd say that's the right approach. But to my eye this seems way beyond neutral. This is almost stripped bare. ...try removing the green grass in your mind and what do you have left? We've talked about it before on this board, how trees and greenery and imaginary forests & mountains etc. 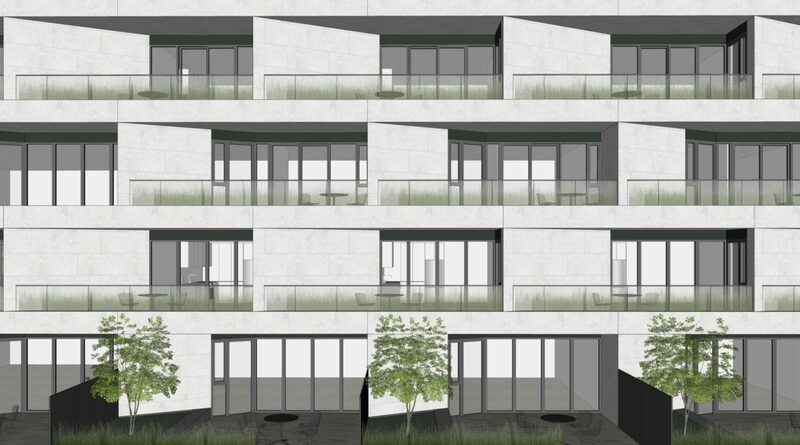 can look nice in renderings but they don't really have much relevance when we're trying to assess the architecture itself and whether it can stand alone on its own merits. Even if you keep everything exactly as is, how about changing the cladding on the little section? Why should the little section have some obligation to be neutral? It's a building fronting onto the streetscape. It has a right to exist. It's not competing with anything or overshadowing anything. Crikey, and now I look back in this thread and realize the little section was better before! edit: Nah, I'm losing it. It's better now. Edited by aastra, 07 February 2019 - 04:41 PM. I don't know. Maybe I'm just not getting this one. Ideally, I'd like to see the new construction make some sort of reference to the heritage building. I don't exactly know what that would be. Perhaps there might be a way to pay homage to those semi-circular "eyebrow" details on the second level of the Wellburn's building or some other detail that could be reinterpreted in the addition. Agreed, the smaller building doesn't have to look like an addition to Wellburns, and having it so matchy-matchy makes for a boring and forgettable streetscape. I would also refrain from painting all the trim and architectural details black. Too much is lost, visually, and the building doesn't have the same appeal. Update the red and black details, or choose new colours to really highlight what makes this building worthy of being preserved. 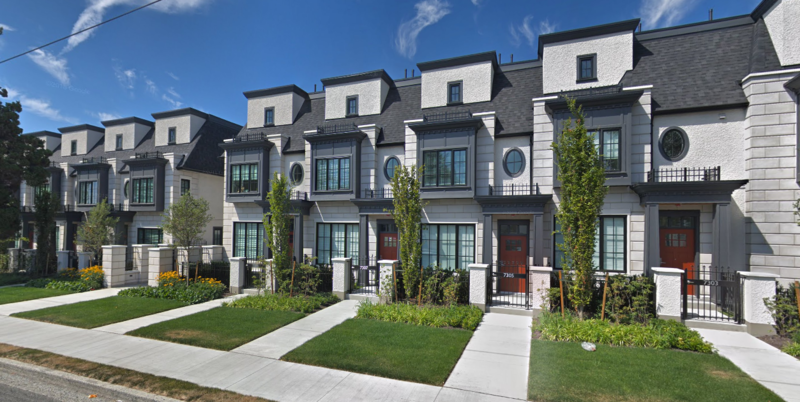 As it is in the rendering, it looks no different than the faux-Parisian townhouses going up in Vancouver (which don't look awful, it's just very clear that they're new build and not a restored building with local history). ^ all of those would be better with a widow's walk at the top. I guess one person's matchy-matchy is another person's complimentary. From what little detail I can see of the shorter new building (especially in the nearly colourless rendering above), I mostly like the way it looks. As aastra mentioned earlier, the vertical windows are a particularly nice touch. I think I will wait to see further detailed renderings before I pass judgement on this proposal. I guess that gives them time to sharpen their pitchforks and refuel their torches.